Madhubabu & Make in Odisha By Prof. 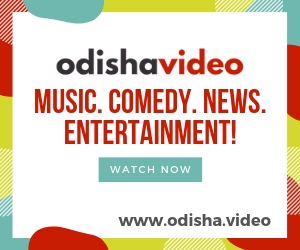 Dash Benhur Utkal Gaurab Madhusudhan Das was the first Odia graduate and the first Odia to earn a postgraduate degree as well as a degree in Law. He was also the first Odia to become a Minister and to travel abroad. These were, no doubt, great distinctions, but the Odia nation should be grateful to him as he was the first Odia to think about the technological development of his native land. This was unheard of at that point of time. During his first voyage to England in 1897 he had carried with him eight wooden boxes filled with Odishan handicrafts, made of wood, ivory, silver, gold, cotton etc., which were to be displayed at an exhibition at London so that artistic talent of Odias could be showcased. Mr. Madhusudan Das was confident that Odisha, then known as Utkal, had the potential to become a major centre of manufacturing as it had been the home of a variety of traditional handicrafts. Hence, in April, 1902 he put forward the demand, at the budget session of the Bengal Legislative Council, that “Education should aim at improving the condition of artisans and the agricultural classes. To attain this aim, the hand and the head should be trained together.” He had therefore started two pioneering industrial ventures. The first was “Odisha Art Ware”, established in 1897 to promote the craft of silver and gold filigree. Mr. Das had set up a training school for this purpose within his own residential premises at Cuttack. The second was “Utkal Tannery” founded in 1905. It is interesting to note that this tannery employed a ‘swadeshi’ technique for tanning leather and manufacturing footwear. All the raw materials were collected from the hinterlands of Odisha. The tannery employed about 250 workers as well as leather technologists from Germany and Austria. Its products had attracted buyers from Europe and Japan. Gandhiji, who visited the tannery in 1925, had requested Mr. Das to set up a similar venture, though on a smaller scale, at Sabarmati Ashram. Madhusudhan Das had argued that no society can progress without industry. Agriculture and Industry had been interwoven in ancient Odisha. But with the dwindling of indigenous industry during the British, Odia workers migrated from their homes to work elsewhere and became poor and destitute. It was Madhusudhan Das who had pioneered the idea of “Make in Odisha” and “Trade beyond Odisha”, long before Mahatma Gandhi introduced the concept of ‘Swadeshi’. He poured all his energy and resources into this undertaking and lavished his entire princely income on it, and died a pauper. His last words were, “Just remember, an Odia me had once lived here.” Today, to remember Madhusudhan Das is to recollect his noble idea of “Make in Odisha” and feel proud as an Odia. ଅଜବ ଗଛ, ଦିନରାତି ଝରୁଛି ପାଣି!